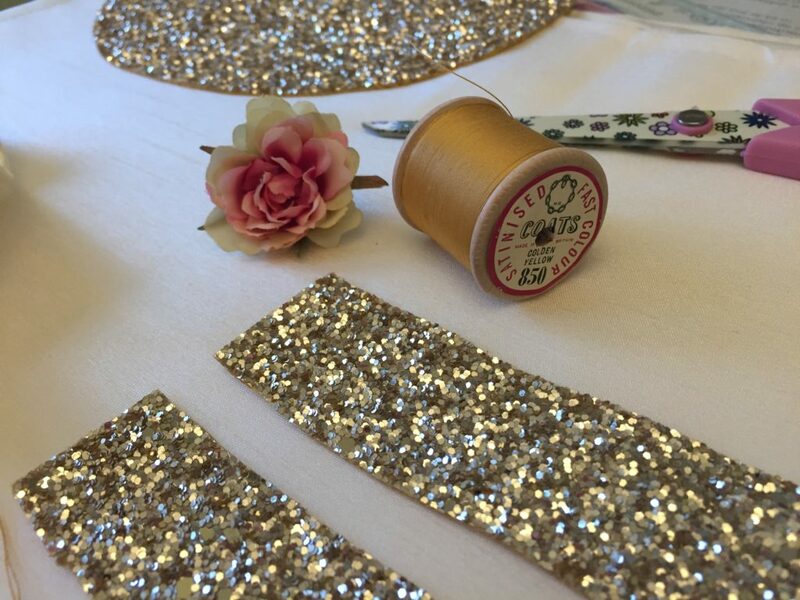 My current favourite crafting item is this sparkly gold fabric as it’s super pretty and it catches the light beautifully so I’ve been using it for all sorts of things! 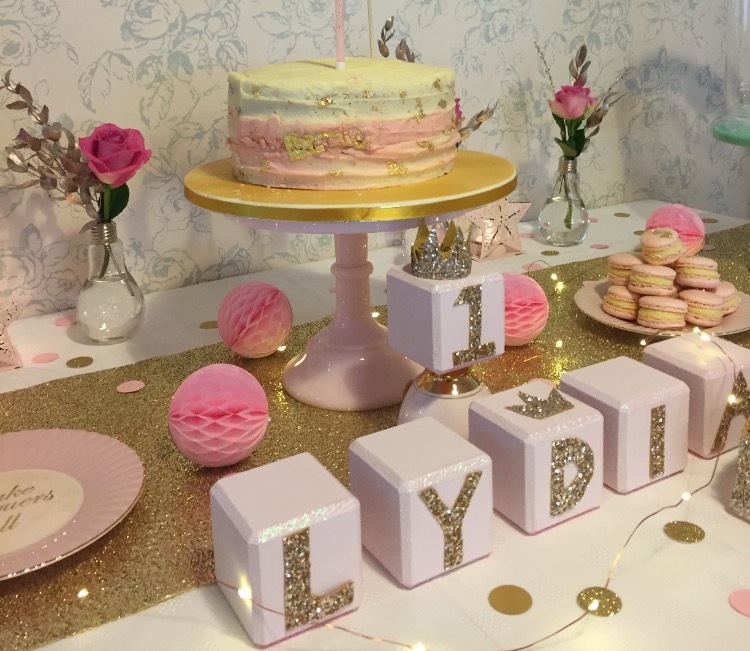 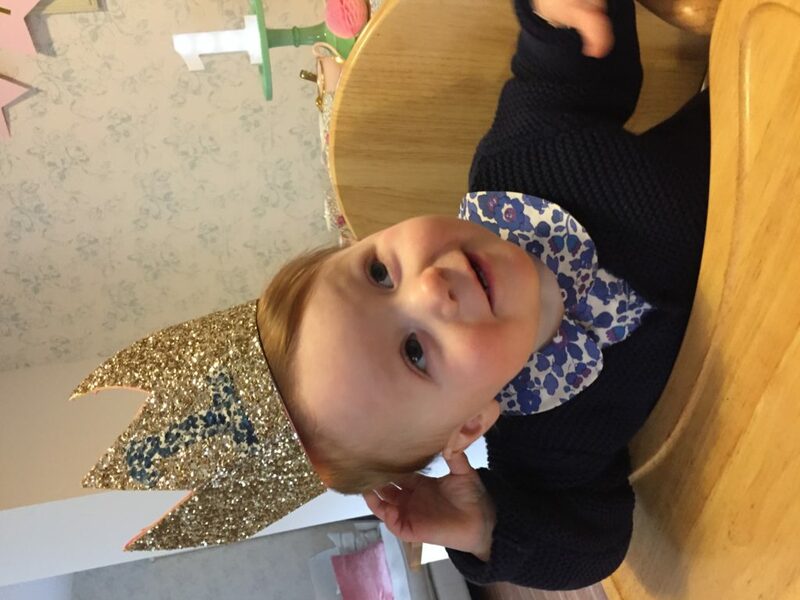 I used it to make my little granddaughter Lydia a crown for her first birthday and some blocks with her name on and here I’ve used it to make some pretty napkin rings. 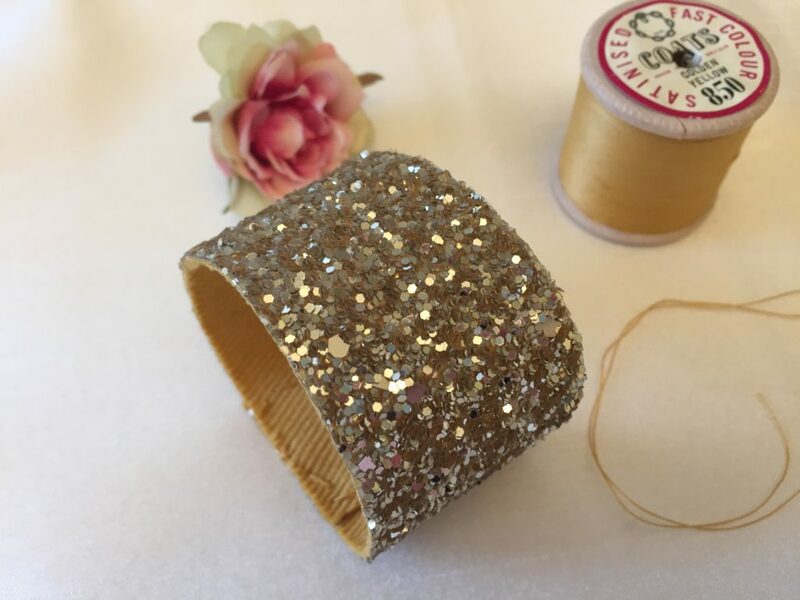 It comes in an A4 size sheet and for the napkin rings I just cut it into strips and then hand stitched it into a ring shape. 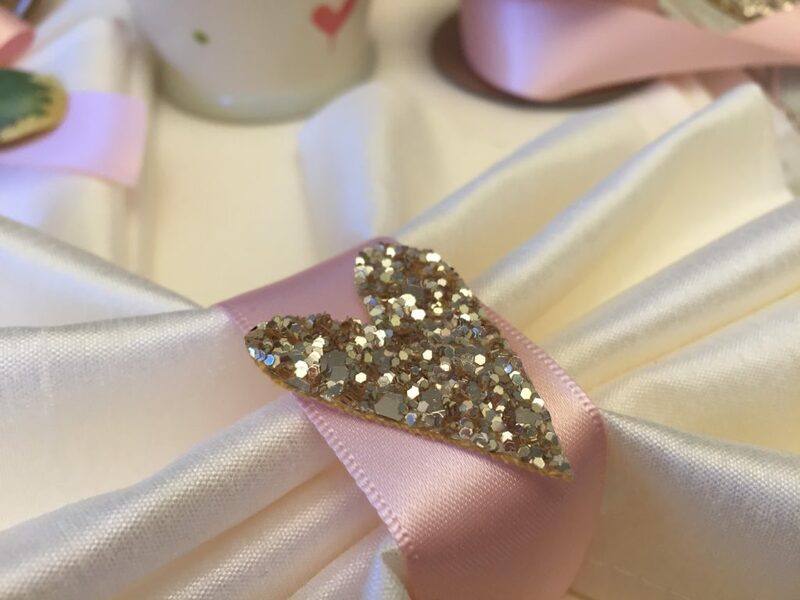 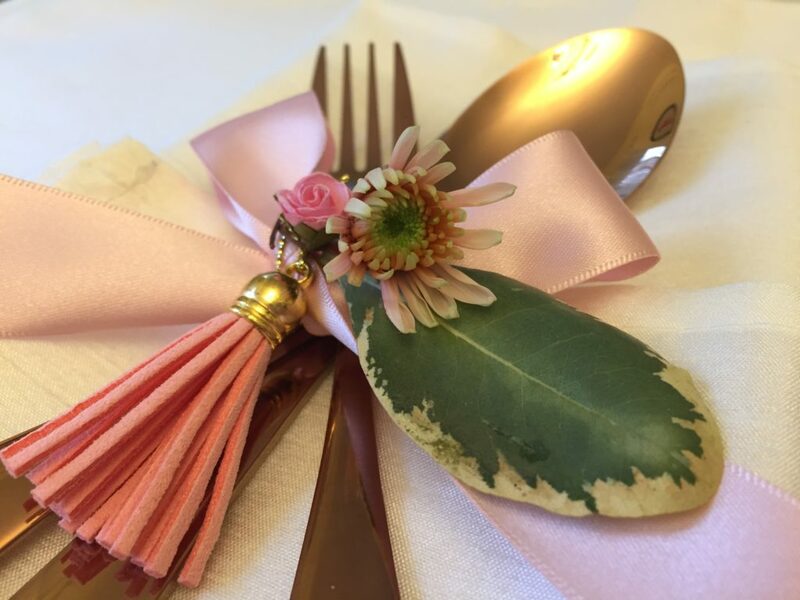 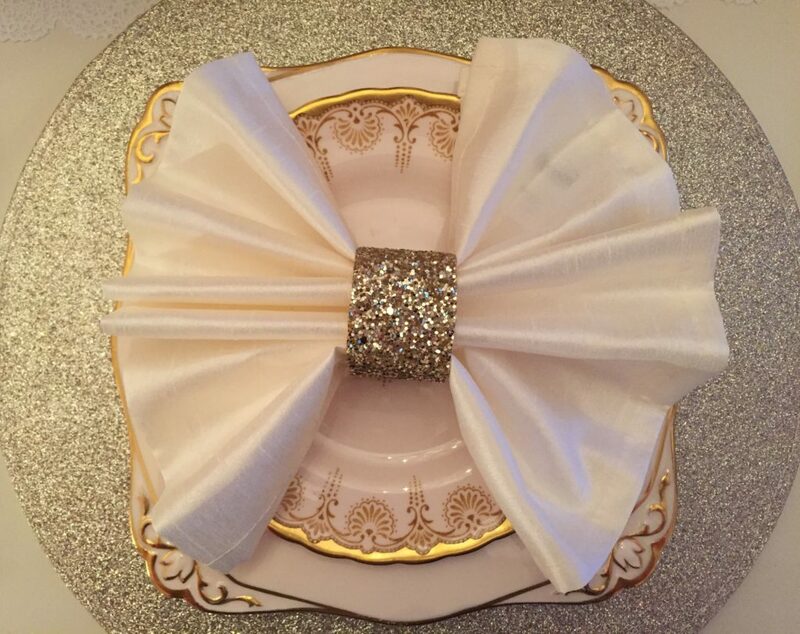 I like to fold my fabric or paper napkins into bows and this style of napkin ring is perfect for this. 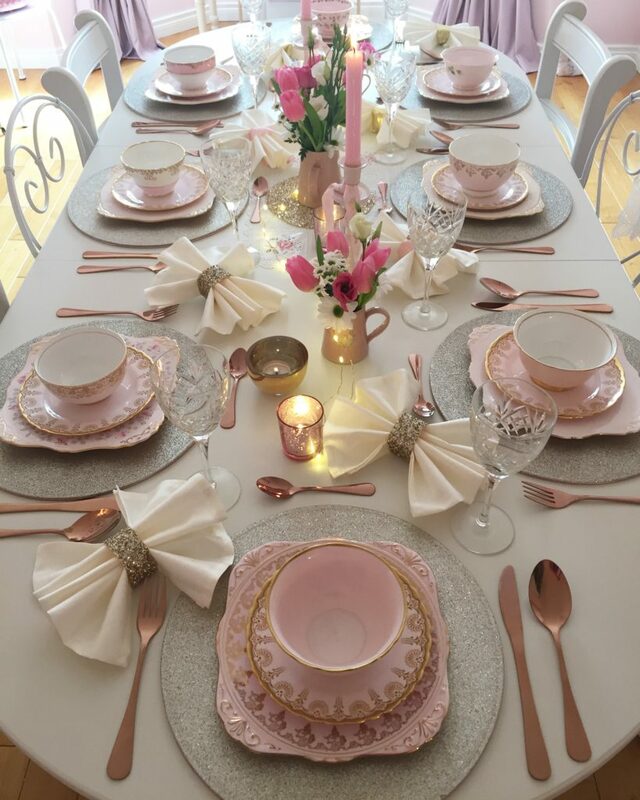 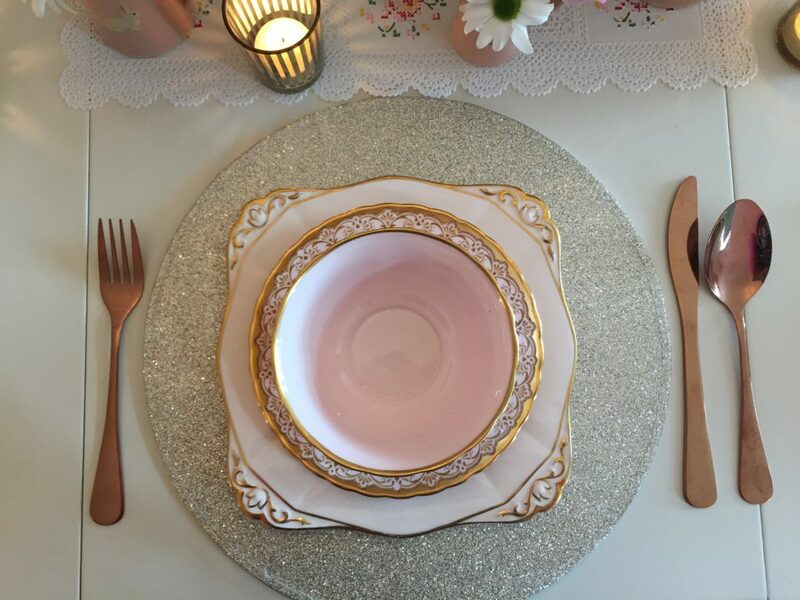 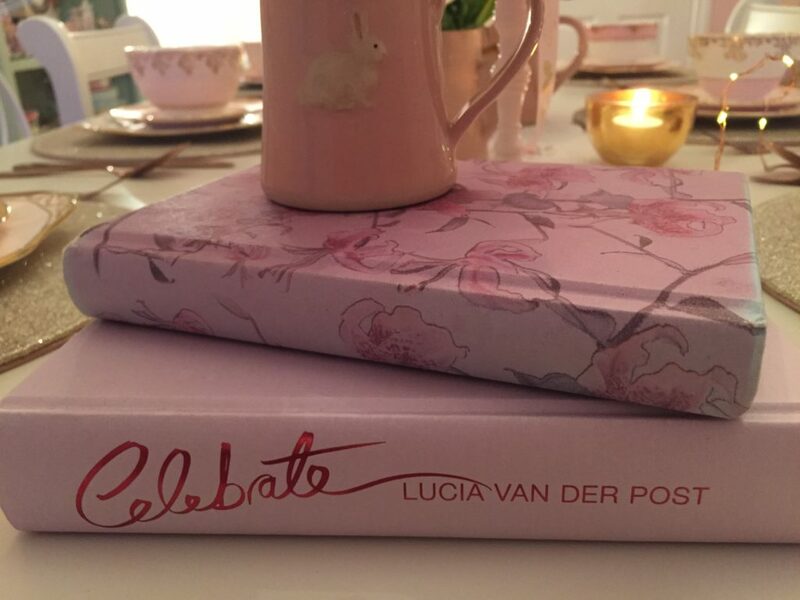 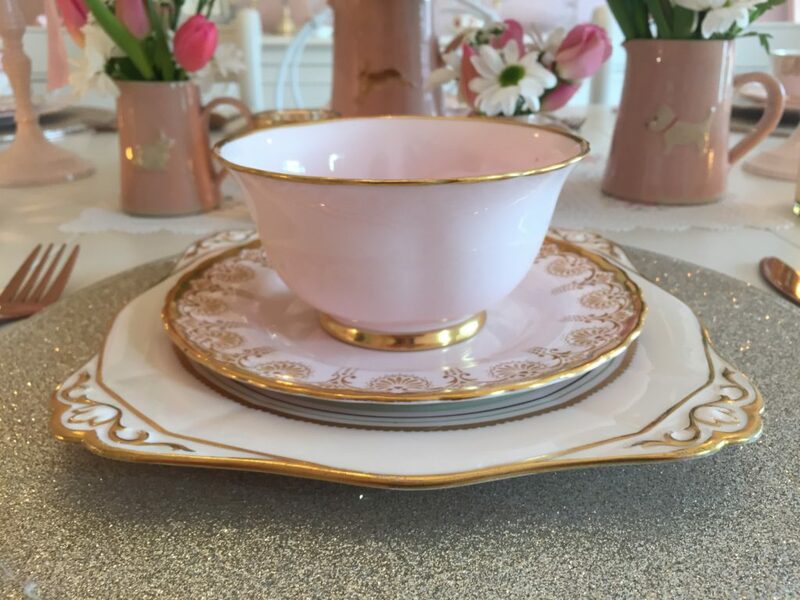 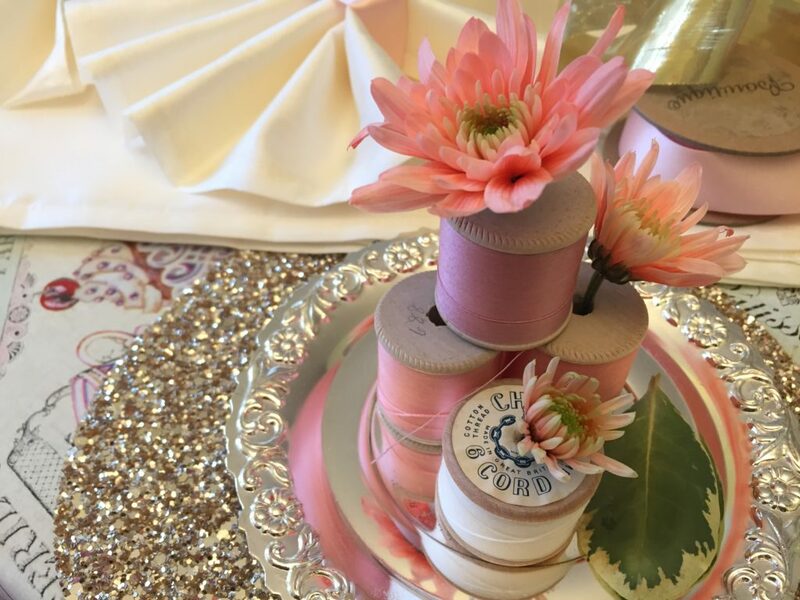 I’ve always been passionate about pretty table decor and am a big believer in celebrating special occasions and using lots of lovely china and accessories to make it memorable for guests. 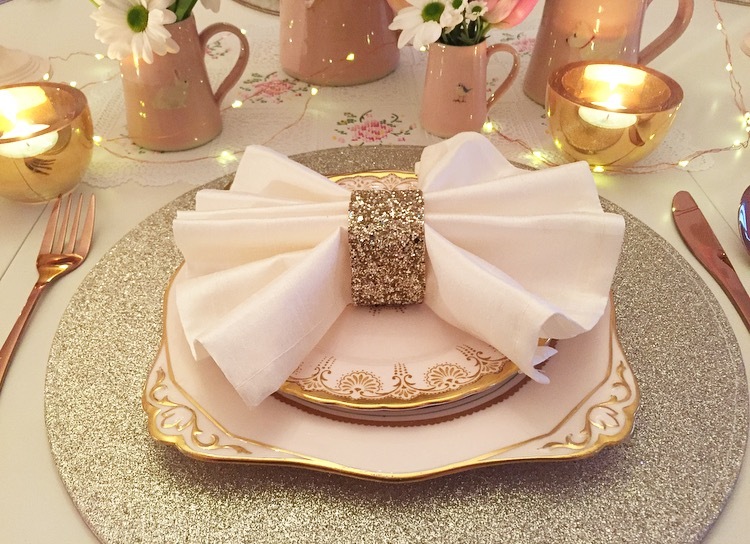 Ribbons are an inexpensive way to change up your table decor whether for tying round napkins or putting onto candlesticks and they are ideal for adding little pops of colour to match china etc. 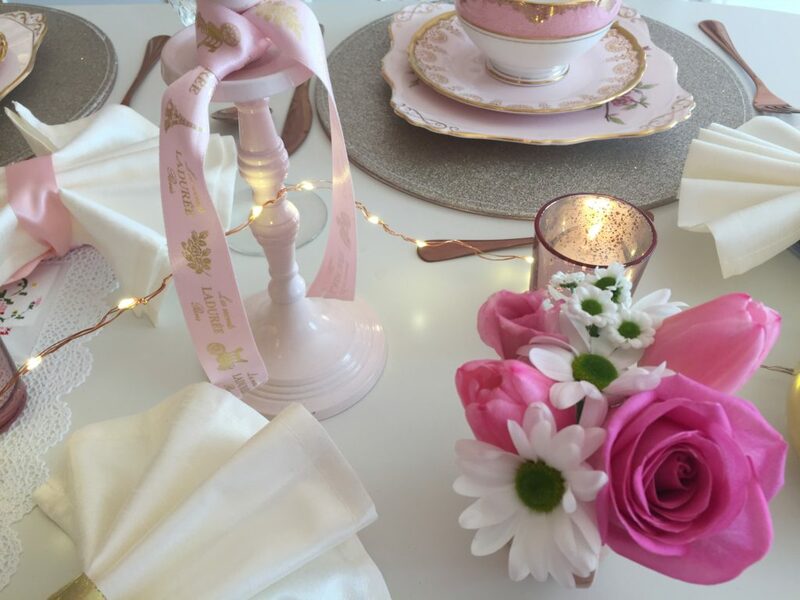 Candles & flowers are an essential part of my table decor for special occasions and I usually just pick up a few bunches of inexpensive flowers and display them in little jars & holders along the table. 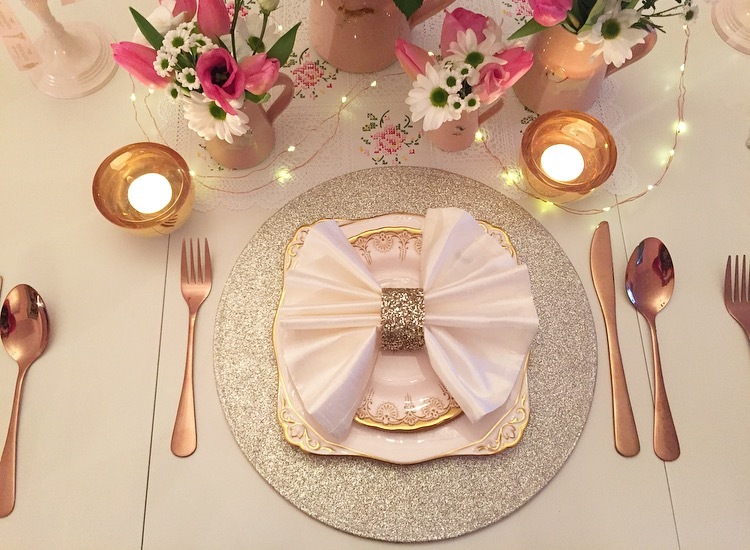 Guests always enjoy all those little details and I think it’s nice that they feel you’ve made an effort to make it special for them. 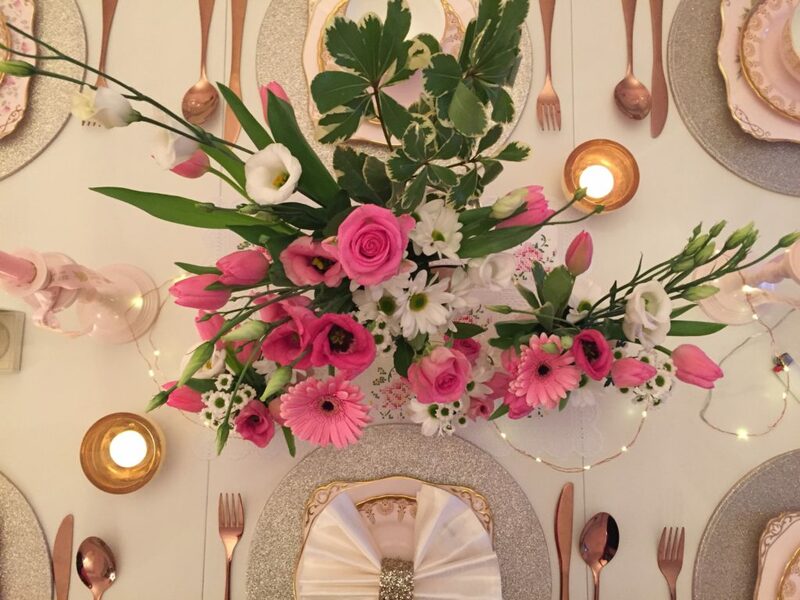 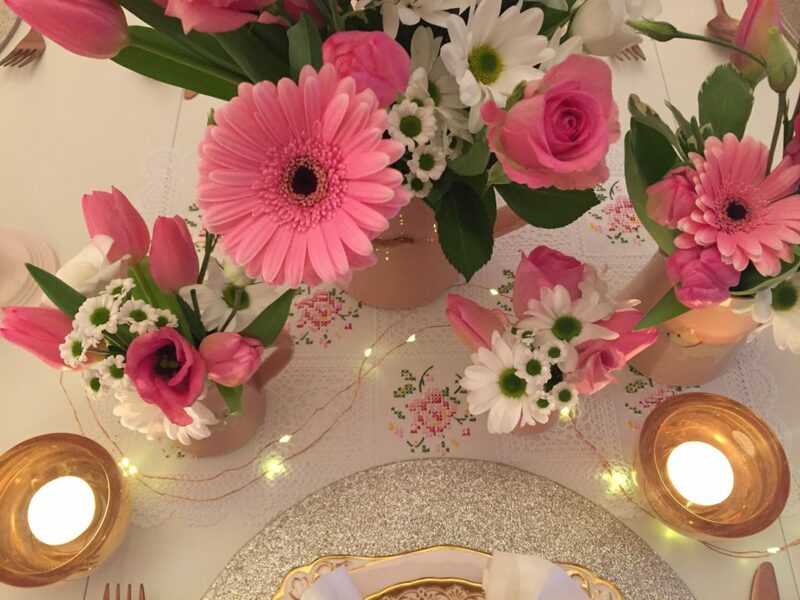 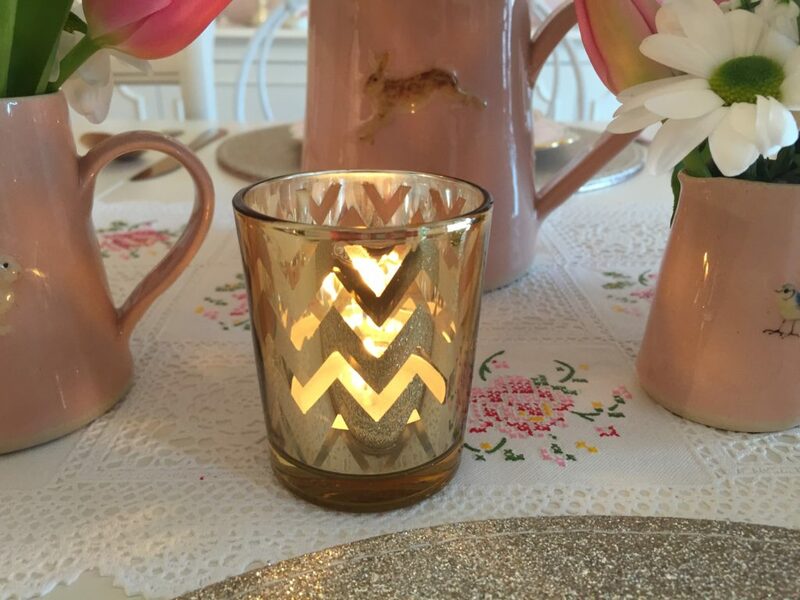 A few tealights and some pretty napkins & flowers make all the difference to any table. 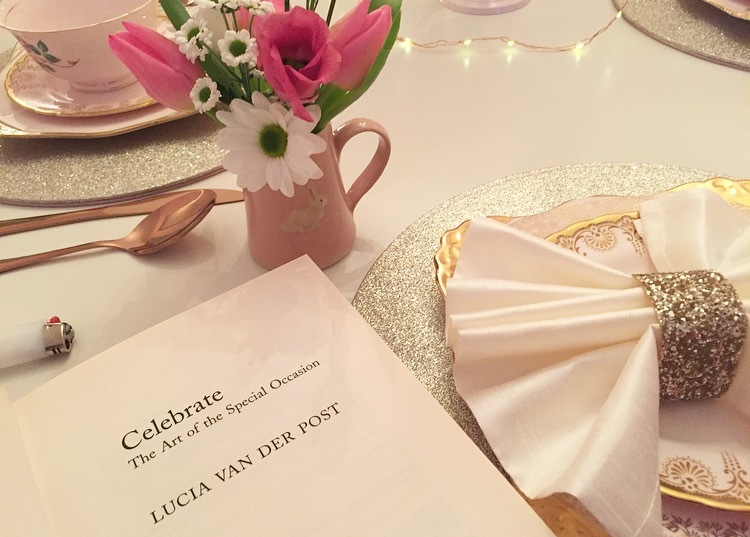 Celebrating the art of the special occasion is definitely something to live by and provides many happy memories to look back on! 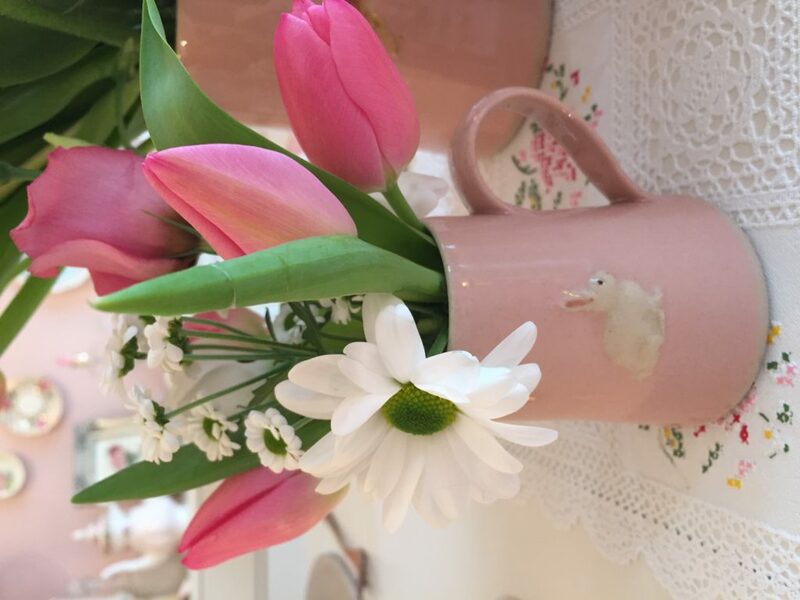 So lovely, Louise! 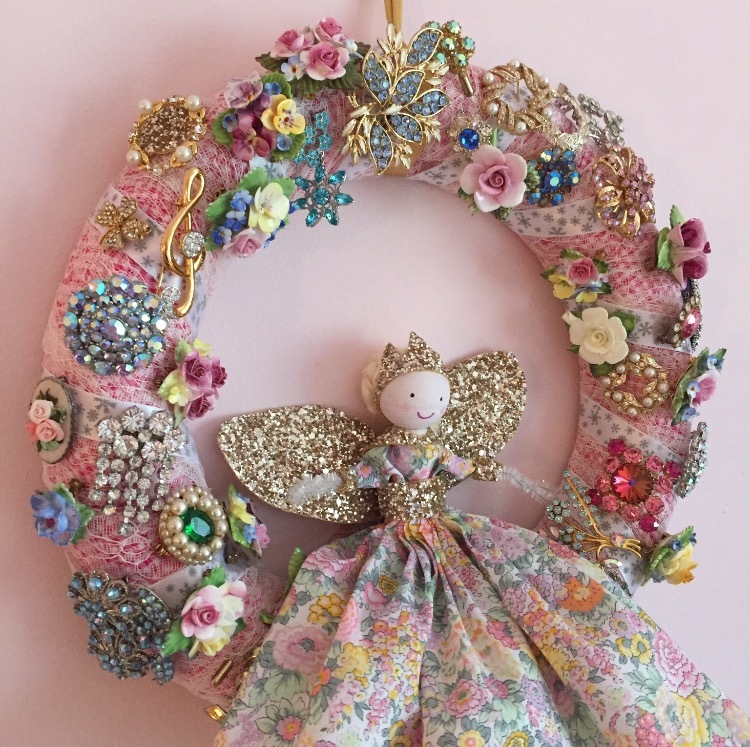 I appreciate all your many ideas. 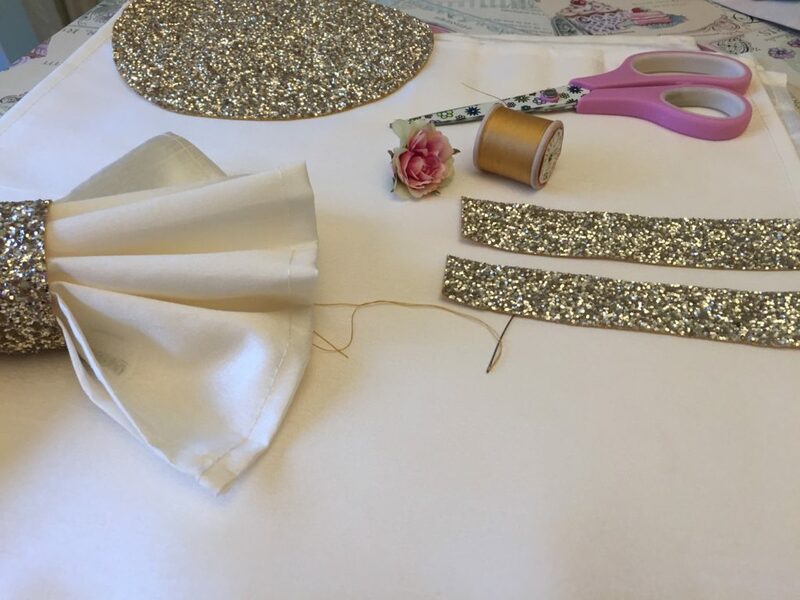 I want to check our craft store to see if the sparkly fabric is available in the US. 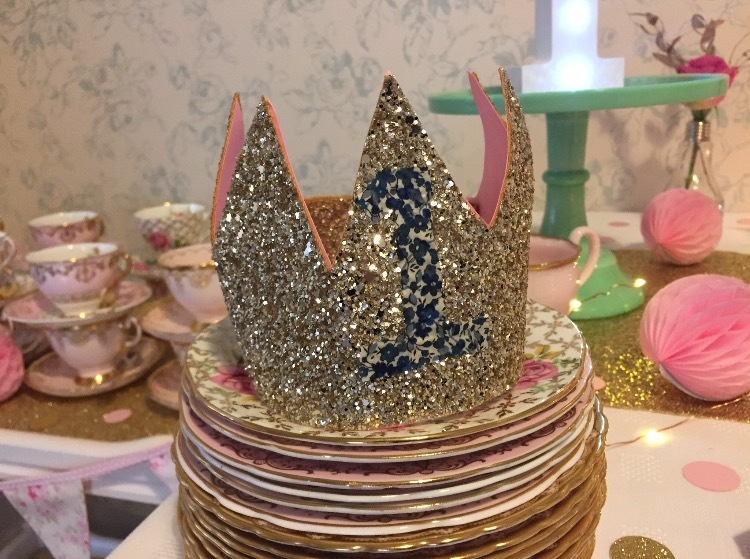 Loved Lydia’s 👑 crown!!! 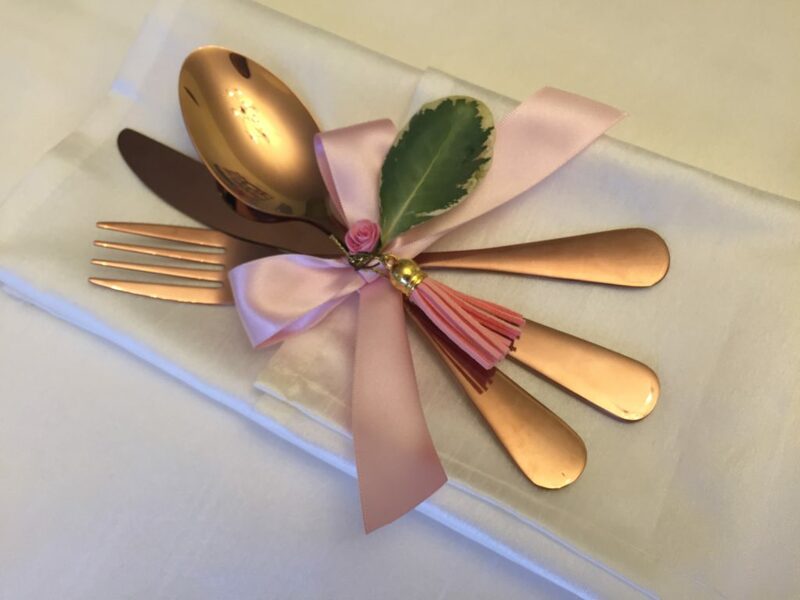 Hello Louise, very good idea of the napkin holders !! 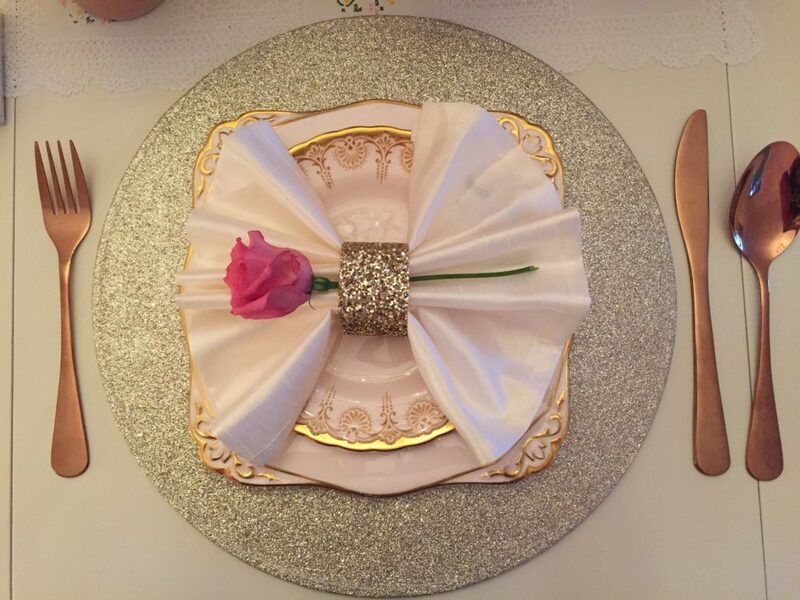 I take note to make them. 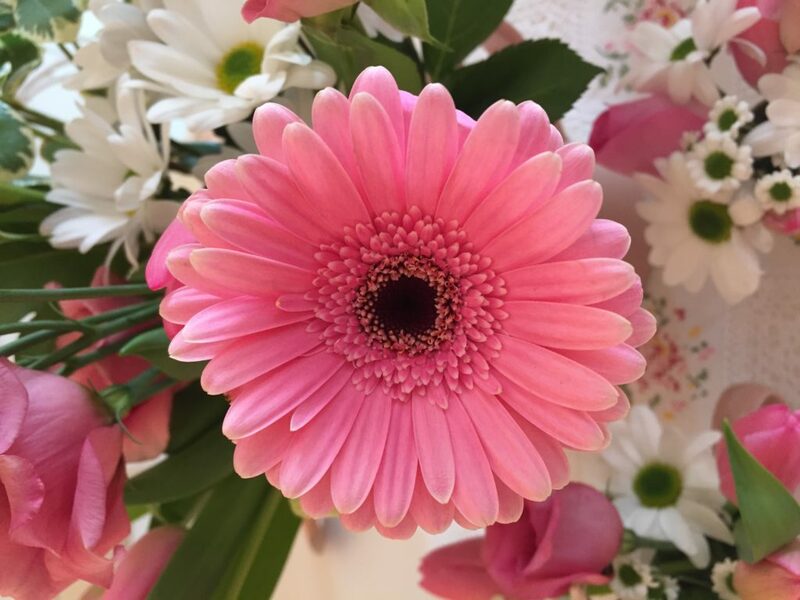 Thank you very much for sharing.